There are some great looking games out there, but strangely many of the prettiest forgo the latest 3D graphics and instead build upon the look and feel of the 2D generation. 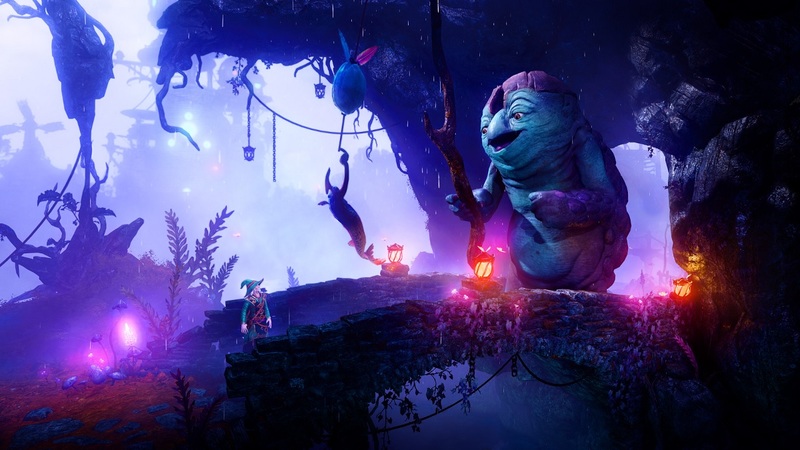 Trine is such a series and the third game; Trine 3: The Artifacts of Power, looks like the best looking yet and even goes as far as adding the third dimension. Sumptuous graphic fans won't have to wait too long for the game as a release date has been announced. Trine 3 developers, Frostbyte, have given the game a confident August 20th release date, smack bang in the middle of the highly competitive holiday season. Why not, when the likes of Trine 2 proved to be a co-op classic. The third outing continues the three player online\offline co-op. Players control one of three different characters whose differing skill sets mean that if you want to succeed in the game, the best thing is to work together; be it using the Knight's strength, the Wizard's spells or the Thief's agility. Page created in 0.4135 seconds.